Een mindfulness (groeps-) training net zo effectief is voor het behandelen van depressie, angst en stress, als individuele cognitieve therapie. Dat blijkt uit recent onderzoek in Zweden. Behandelingsresultaten waren duidelijk aantoonbaar en niet of nauwelijks verschillend tussen de testgroepen (de ene groep volgde de mindfulnesstraining, de andere kreeg individuele therapie). Hieronder vind je het Engelstalige artikel. Hier nog wat duiding vooraf. 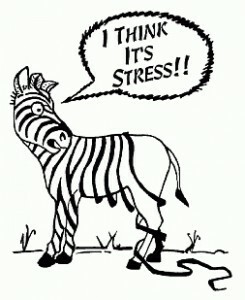 MBCT = Mindfulness Based Cognitieve Therapie. Dit is een van de twee gangbare 8-weekse groepstrainingen om mindfulness te ontwikkelen. De training is vormgegeven in de jaren ’90; 15 tot 20 jaar nadat Jon Kabat-Zinn startte met de ander variant – MBSR (Mindfulness Based Stress Reduction) – en overlapt hier voor een zeer groot deel mee. De MBCT-methode is in eerste instantie ontwikkeld om de kans op herhaling van klinische depressie te reduceren. De meditatieve oefeningen zijn gericht op het toelaten van ervaringen (waaronder emoties en gedachten), zonder er inhoudelijk mee aan de slag te gaan. Het uitgangspunt hier is dat er veel dingen zijn waar je je niet ‘uit kunt denken’. NB De manier om met je gedachten en emoties om te gaan, blijkt ook heel geschikt te zijn voor andere en mildere klachten, zoals stress, angst, piekeren en alsmaar in een hoge versnelling zitten en het leven beschouwen als één lange ToDo-lijst. CBT = Cognitive Behavior Therapy. Hiermee wordt gedoeld op de tweede generatie gedragstherapie. De eerste generatie gedragstherapie (ook wel klassieke gedragstherapie) werd ontwikkeld door Pavlov en Skinner en betreft klassieke conditionering. Er wordt gewerkt met reflexen. Voorbeelden hiervan die vandaag-de-dag nog worden toegepast zijn assertiviteitstraining en affirmaties. 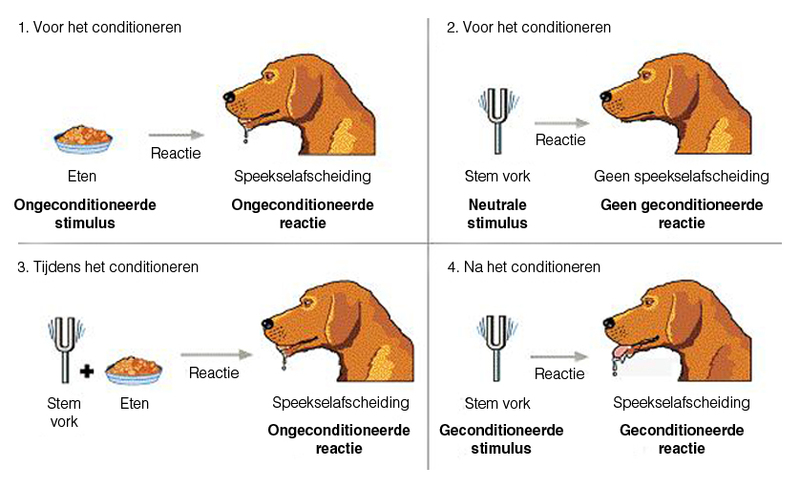 Het is gebaseerd op herhaling (misschien ben je bekend met het Pavlov-effect). De tweede generatie is cognitieve gedragstherapie; hier wordt de cognitie – kennen of weten – bij de therapie betrokken. De CBT in onderstaand artikel van grondlegger Aaron Beck valt hieronder; daarnaast wordt de RET (Rationeel Emotieve Therapie) van Albert Ellis hiertoe gerekend. Het uitgangspunt is dat emoties en gedrag veranderd kunnen worden door het veranderen van onderliggende gedachten. De derde generatie is aandachtgerichte therapie. ACT (Acceptance and Commitment Therapie) en mindfulness (MBCT / MBSR) zijn de actuele toepassingen van de derde generatie. In tegenstelling tot de tweede generatie, is deze generatie niet gericht op het veranderen van gedachten, gedrag en emoties, maar op het toelaten ervan. NB Het met vriendelijke aandacht onderzoeken van wat er gebeurt in lichaam en geest leidt tot inzichten, die op hun beurt soms leiden tot ander gedrag. Het artikel gaat dus over een vergelijking tussen de tweede en derde generatie cognitieve therapie. Bijna alle genoemde methoden worden individueel aangeboden. Alleen mindfulness wordt (meestal) in een groep gedaan en is daarom de meest kosteneffectieve methode. Mindfulness group therapy is as effective as individual cognitive-behavioral therapy (CBT) for treating depression, anxiety, and stress, new research suggests. A randomized controlled trial of more than 200 primary care patients with at least one of these disorders showed that patients receiving 8 weeks of a structured group mindfulness program and those receiving CBT had significantly improved scores on the Patient Health Questionnaire–9 (PHQ-9), the Hospital Anxiety and Depression Scale (HADS), and the Montgomery-Åsberg Depression Rating Scale (MADRS). Lead author Jan Sundquist, MD, PhD, professor and directors at the Center for Primary Health Care Research, Department of Clinicial Sciences, at Lund University in Malmö, Sweden, told Medscape Medical News that he was actually surprised that the two treatments were equal. 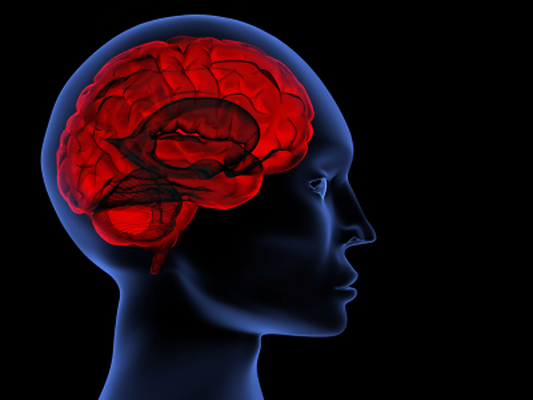 The study was published online November 27 in the British Journal of Psychiatry. Approximately 12% to 32% of patients visiting a general practitioner in Europe have depressive, anxiety, and/or stress and adjustment disorders. “In my work as a [general practitioner], I see many patients with depression and anxiety and just want to do more for them. We need simple, effective tools for treating them when financial resources are limited,” said Dr Sundquist. The researchers add that CBT “is currently being introduced as a standard treatment in Swedish general practice” for depressive disorder; many clinical psychologists and social counselors in the country offer an individualized form of the therapy. On the other hand, the investigators note that mindfulness-based therapies may offer the advantage of being accessible to larger groups of patients because after going through introductory sessions, they can practice the therapy on their own. For the study, 215 patients between the ages of 20 and 64 years who had depression, anxiety, and/or stress and adjustment disorders were recruited in the spring of 2012 from 16 primary healthcare centers in a southern region of Sweden. At baseline, all participants had a score of at least 10 on the PHQ-9, a score of at least 7 on the HADS, or a score of 13 to 34 on the self-rated version of the MADRS. The patients were randomly assigned to receive 8 weeks of either mindfulness group therapy (n = 100; 81% women; mean age, 42 years) or “treatment as usual” (n = 105; 90% women; mean age, 41 years). The mindfulness program combined elements from both mindfulness-based stress reduction and mindfulness-based cognitive therapy, and included meditative exercises. Each session included two mindfulness instructors who previously underwent a 6-day training course. The group sessions each included a maximum of 10 individuals. Participants were told to practice learned techniques for 20 minutes per day in their homes. They were also given a compact disc, training manual, and diary. Treatment as usual sometimes included pharmacologic treatment and mostly included psychotherapy or counseling. Of the 80 patients in the group receiving treatment as usual, most received individual CBT; the average number of sessions was 6. Measurements included changes from baseline to end of treatment on the PHQ-9, MADRS, HADS–anxiety subscale (HADS-A), or HADS–depression subscale (HADS-D). “I thought this was an interesting study from several perspectives,” Renee Binder, MD, president-elect of the American Psychiatric Association, told Medscape Medical News. “First, it’s important that people are paying attention to depression, anxiety, and stress and adjustment disorders in primary care ― especially considering the direction that healthcare is taking in the United States, where we are moving towards integrated and collaborative care,” she said. Dr Binder, who was not involved with this research, is professor and director of the Psychiatry and Law Program at the University of California–San Francisco (UCSF) Medical School and associate dean of academic affairs at UCSF. She noted that it was also good to see that treatment for depression and anxiety can lead to “a tremendous amount of improvement” in symptoms. However, she said that caution should be used when interpreting the specific results. “Overall, I think it showed that the best therapy for anxiety and depression is where the therapist, whether it’s for groups or individuals, uses individual techniques that a patient can use on their own. And most good psychotherapies do that,” she said. She added that some patients like group therapy, being around other people, and knowing that “they’re not alone.” However, others may feel that that type of treatment is too intrusive. “Mindfulness is definitely a tool in the toolbox. The thing with therapy is that one size doesn’t fit all. It’s good to have multiple tools so if one thing doesn’t work, you can try something else,” said Dr Binder. She reiterated that the results showed that treatment is effective for this patient population ― even short-term treatment. The study authors and Dr Binder have reported no relevant financial relationships. Waarom mindfulness zo goed voor je is Documentaire: Hoe word je een zorgeloos mens?